For patients with chronic back, leg, or arm pain who have not found relief from other treatments, spinal cord stimulation (SCS) is an additional option to consider. Spinal cord stimulation, also called neurostimulation, is a non-medicinal approach that masks pain signals before they reach the brain. 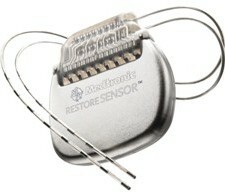 A small device called a spinal cord stimulator, similar to a pacemaker, is implanted in the body. This device delivers mild electrical stimulation to nerves along the spinal column, modifying or blocking nerve activity to minimize the sensation of pain reaching the brain. The goal is a 50 to 70 percent reduction in pain. One of the obvious upsides to this treatment is that it can enable you to participate in daily activities with less pain. And this approach deals with pain in a way that reduces or even eliminates the need for opioid painkillers or other pain medications. However, it does not work for everyone. Some find the neurostimulation sensation to be uncomfortable, and for others, the treatment doesn’t fully address their areas of pain. As a result, before a spinal cord stimulator is permanently implanted, a trial stimulation is always performed first. If the trial does not live up to expectations, the trial wires can be removed in a simple office procedure with almost no discomfort and without damaging the spinal cord and nerves. Spinal cord stimulation (SCS) can help manage chronic back, leg, or arm pain even when other therapies have failed. With spinal cord stimulation, a small pulse generator and thin wires (known as leads) are implanted in the back. SCS is controlled by a hand-held remote that turns the device on and off and adjusts the settings. The pulse generator is similar in function and appearance to cardiac pacemakers, except that the electrical pulses are sent to the spinal cord instead of to the heart. These “pacemakers for pain” interrupt the pain signals’ pathways to the brain by delivering low-intensity electrical pulses that trigger selective nerve fibers along the spinal cord to create a different feeling—one described as a gentle massaging sensation or simply the absence of pain. 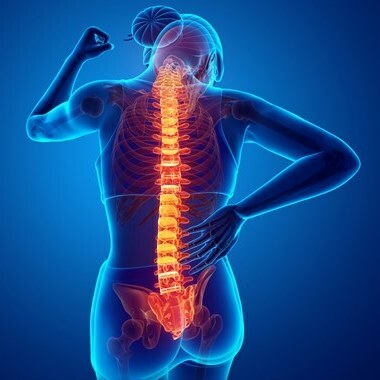 Spinal cord stimulation was first used to treat pain in 1967 and was approved by the Food and Drug Administration (FDA) in 1984 to relieve pain from nerve damage in the trunk, arms, or legs. The amount of pain relief varies with each person, as spinal cord stimulation doesn’t eliminate the source of the pain but simply interferes with the signal to the brain. But the goal is a 50 percent to 70 percent pain reduction. And even a small amount of pain reduction can help patients perform daily activities and reduce the amount of pain medication that you take. There currently are more than a dozen manufacturers in the spinal cord stimulation market segment, including Medtronic, Inc., Boston Scientific Corporation, St. Jude Medical (a division of Abbott Laboratories), and Nuvectra Corporation. Spinal cord stimulators are part of a larger medical technology segment focused on implantable pulse generators to treat an array of neurological disorders. Spinal cord stimulation technology is not new but has been adapted from the technology used for decades in cardiac rhythm management, which helps make this technology proven. At the same time, competition and growth in the spinal cord stimulation market is driving rapid innovation and improvements in systems. This means that spinal cord stimulation patients have a growing variety of system alternatives and features to choose from. Your doctor will help you decide which system is right for you. Some systems have a non-rechargeable battery that needs to be surgically replaced every two to five years, depending on the frequency of use. Other rechargeable battery systems may last eight to ten years or longer, but patients must charge the system daily. 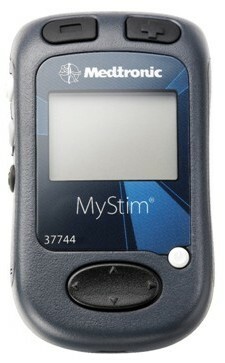 Each spinal cord stimulation pulse generator features programmable settings. These settings can be adjusted to help you receive the best therapy possible. Your doctor will customize your system so that your pulse generator operates optimally for your individual situation. The first step in the spinal cord stimulation (SCS) treatment process typically involves a test stimulation or trial period in which the patient receives an external test stimulator in a simple outpatient procedure. During the three- to ten-day trial period, patients receive stimulation through thin wires (leads) connected to an external trialing cable. If the trial procedure is successful, a spinal cord stimulator about the size of a small pocket watch is implanted under the skin in a minimally invasive outpatient procedure. The neurostimulator delivers controlled electrical pulses through leads to the epidural space to block pain signals from reaching the brain. Your physician will adjust the stimulation settings to optimize the therapy and pain control for you. Although many patients have benefited from spinal cord stimulation, these treatments are not right for every patient. The goal in selecting appropriate patients is to identify those most likely to experience therapeutic success while reducing the likelihood of risks, complications, and adverse events. Although this section covers general considerations about who might be an appropriate candidate for this treatment, a qualified physician must make this decision. Spinal cord stimulation is not considered appropriate women who are pregnant. Spinal cord stimulation might benefit certain patients who meet the following criteria. A screening trial will be conducted prior to the implantation of a spinal cord stimulation device. This trial enables patients to assess their response to spinal cord stimulation anything more invasive is done. If a patient experiences adequate pain relief from that screening trial, they may be a candidate for an implanted neurostimulation system. Most insurance companies will pay for the trial and permanent implantation of a spinal cord stimulator. However, as with many costly treatment options, your physician will have to get precertification from your insurance company before you can receive atrial or permanent implant. Your out-of-pocket (copay and/or deductible) costs will vary according to your insurance plan. 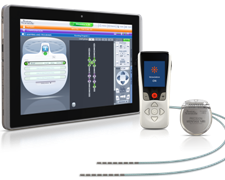 Consult your physician or insurance carrier for more detailed information about out of pocket expenses associated with the trial and permanent implantation of a spinal cord stimulator.